With over 400 lawyers working for them, Stibbe law firm is one of the sector’s biggest and most renowned in the Benelux region. 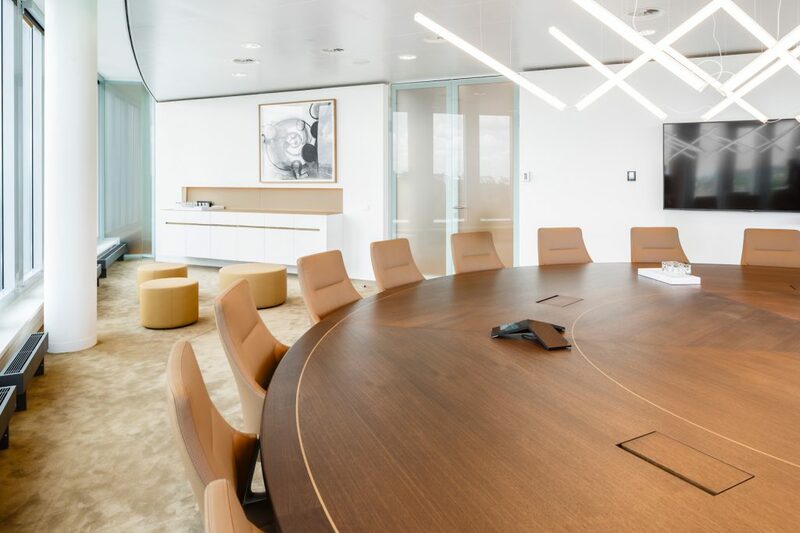 Stibbe employs around 190 lawyers in Amsterdam alone, which is also the place where the firm was founded. 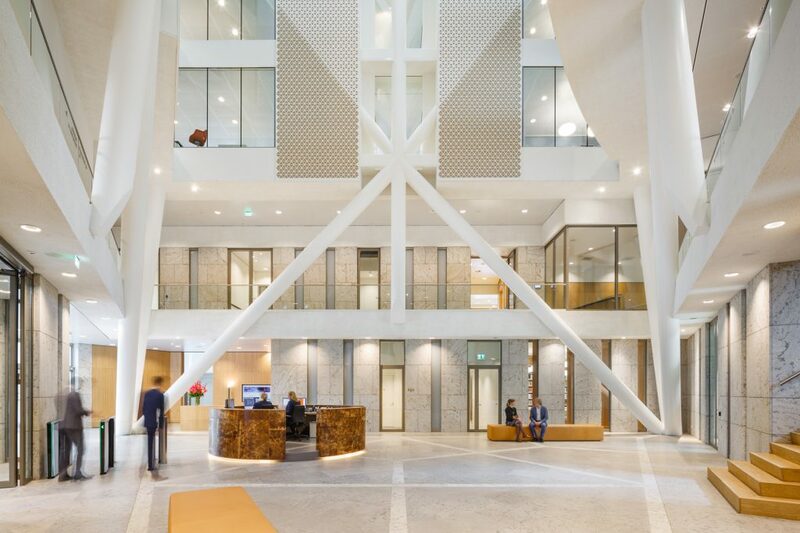 In summer 2016 the company moved out of its previous premises on Strawinskylaan: the company is now located in a new build that was constructed to plans by Jo Coenen Architects & Urbanists (JCAU) in the business neighbourhood to the south of Amsterdam. 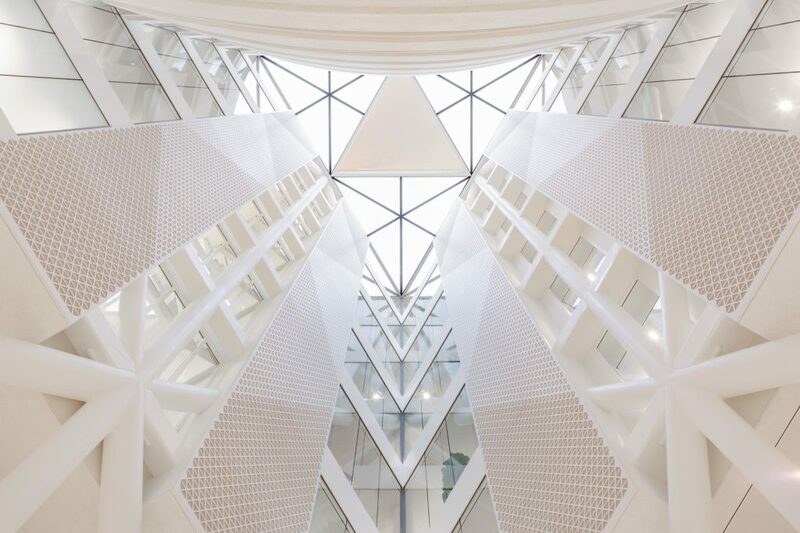 The heart of the ten-storey building is the triangular atrium, capped by a prism-shaped skylight. The impressive steel support structure is highlighted and clearly discernible here. The interior designers from Fokkema & Partners emphasised the building’s form through sound insulation elements in similar shapes. Fokkema & Partners picked an interior design concept for the light-flooded building that highlights the connection between each of the rooms via openings and visually appealing elements. They also provided spectacular views over the city. 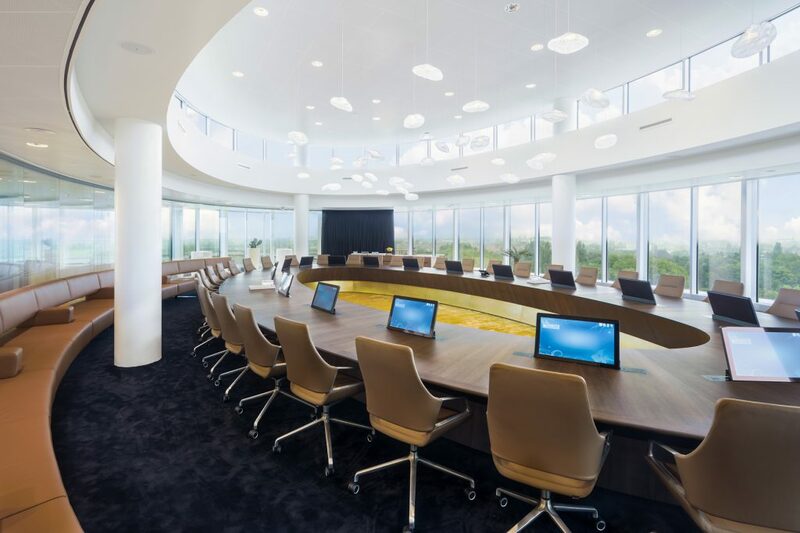 These views are simply stunning in the law firm’s conference room: the elliptical, two-floor room in the new build’s staggered storey delivers a panoramic view over the Dutch city. It’s furnished – just like all other conference rooms in the building – with the Wilkhahn Graph range (design: jehs+laub). 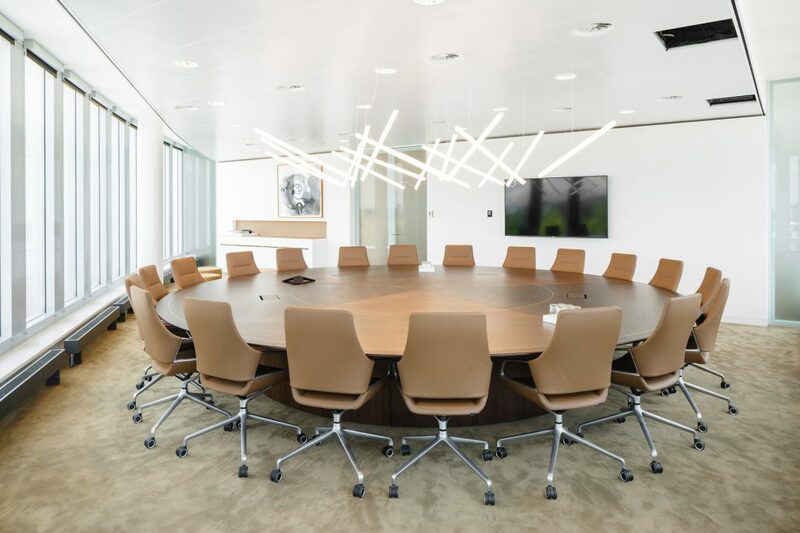 In this case, the stylish and slender conference chair comes in a particularly high-quality design: upholstered in soft, natural-coloured leather, it provides a subtle contrast to the high pile, noise absorbent carpet, which helps to make the conference room’s acoustics pleasant. And by the way: it’s not just the people at the top of the firm who enjoy sitting on Graph: all the lawyers working at Stibbe’s headquarters have a Graph chair each.